Description: These are groups of six to fifteen students. 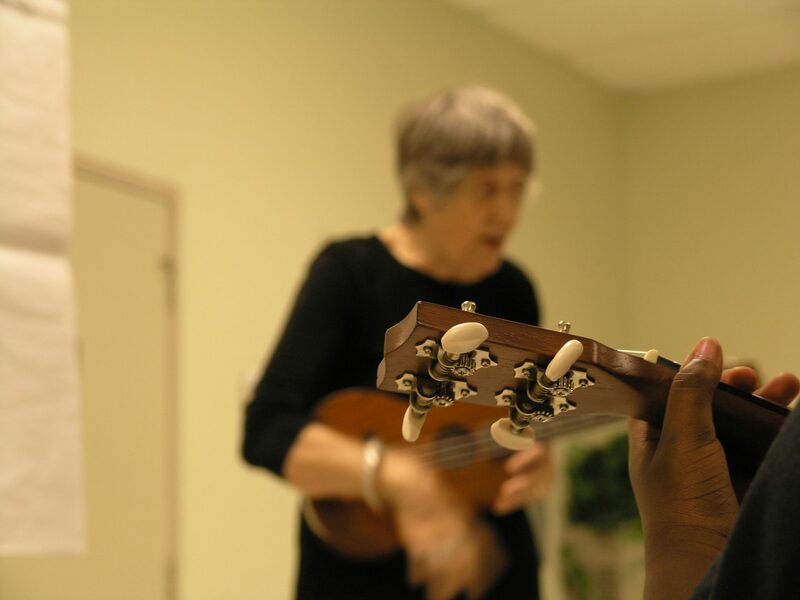 We have a lot of fun while learning to play chords, different strumming patterns and picking. We play chord charts, tablature and notes. Please contact Sally Mackay for more information 386-235-4140.